MotoPress Slider is an easy to use and flexible solution for building compelling sliders. It focuses on simplicity and functionality, and offers all necessary tools that make the plugin stand out from the others. You can build your WordPress slider in two minutes and enjoy it from any size screen, as it looks great on any device. This instruction is for templates with MotoPress Slider included. If you purchased MotoPress Slider as an additional offer .json file will not be included to the template package. Install and activate MotoPress Slider plugin. Go to Dashboard > MotoPress Slider > and press the "Import button > Export". Select MotoPress Slider Export .json file that you can find in your template package. After importing the settings of the slider, the installation is complete. type the name of your slider, it should be easily recognizable in case you create several sliders for the website. helps the slider provide you with the slider shortcode. Its name has to be unique. you'll insert this shortcode to the page or post where you want to place the slider. enable this option to make this slider full-width. enable to set width of your slider, indicate the layers grid size. the time one slide stays on the screen in milliseconds. Pause slideshow when hovering the slider. Animate slides in the reverse order. Displays the number of slides. After adjusting the settings of the slider, it's time to start adding slides. The process of customizing your slides is intuitive and simple. You just need to name your slide and select its background type: image or simply one color. the title of the slide that will be shown in the slides list. choose status for the slide (Published or Draft). choose Color or Gradient for background of the slide. please insert the color (this option is only for Background color type "Color"). insert two gradient colors and angle (these options are only for Background color type "Gradient"). image can be added from your computer, Media Library or External URL. size of the slide image. this means that the background image will be scaled as large as possible, so the background area is fully covered with the image. the image can be scaled to the largest size. Both width and height fit to the content area. the width and height of the background image can be fixed in percent. the background image has its own width and height. background image can be repeated or not. choose the position of the background image. allows you to loop the video. allows you to mute the video. open slide's link in new window. The next step is to set the position of the background image and the 'repeat' option, but it depends on you only. You can also leave these fields empty. For demonstration purposes, we'll use a few pictures in our slider to show you the advantages of the plugin. After setting the image options, you can get started with the Layer Settings. how it'll appear on a slide. the way how it will disappear from the slide. the time it takes for one layer to appear. the time it takes for one layer to disappear. Note that time is calculated from the beginning of the slide and is indicated in milliseconds. Layer settings also enable to specify the text of the layer and its style. When you finish with adding layers you can set their order simply by dragging and dropping them in any specific sequence. MotoPress Content Editor enhances the standard WordPress builder features and allows to create websites visually. It’s the complete solution for building responsive pages without coding, by simply dragging and dropping content elements. You have two ways of creating or editing the content: in the visual MotoPress Content Editor or in the default WordPress editor. If you prefer to create/edit content in the default WordPress editor, but would like to have it viewable and editable in the MotoPress editor, you need to follow the steps listed below. The grid shortcode should come first. The Row → Column structure should always remain unchanged. Every element has to be placed inside the grid. You can't insert a shortcode or a piece of content on the inner_row level. For example, it is wrong to insert my_shortcode without wrapping it into a grid. Each object in a column should be placed into a grid. In other case, all the objects in the column will be interpreted as one block. Consequently, it will be impossible to customize objects individually. For example, in the second column, the "Content" text and the “cherry_button” shortcode are not separated by grid elements. In the visual editor, this block looks like a single object. You should add a new row and insert “Content” and the “cherry_button” shortcode into separate columns: cherry_row_inner → cherry_col_inner. Now each of the objects can be selected and customized separately in the visual editor. Using Inner-Row. The following structure should be kept: row → col → row_inner → col_inner. The cherry_box shortcode has to be placed into row → col. Inside the shortcode, you can use row_inner → col_inner. If "cherry_box" is wrapped in a grid is placed into row_inner, you can't use another row_inner inside of it. The number of columns in a row should not exceed twelve (the default value). WPML consists of several modules. 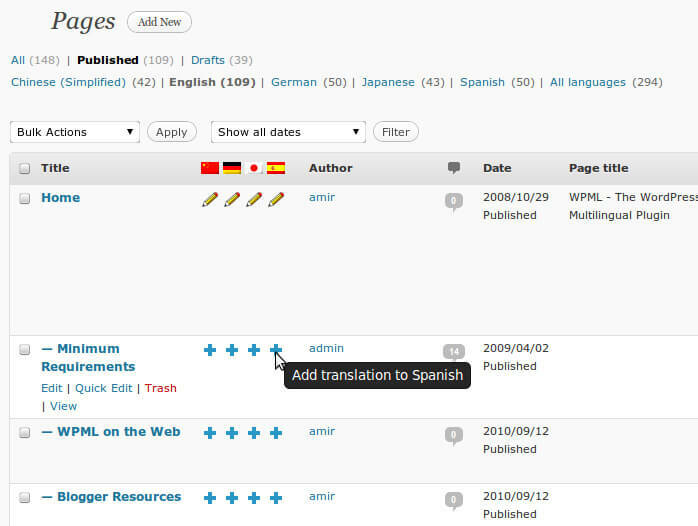 The basic module turns WordPress sites into multilingual. 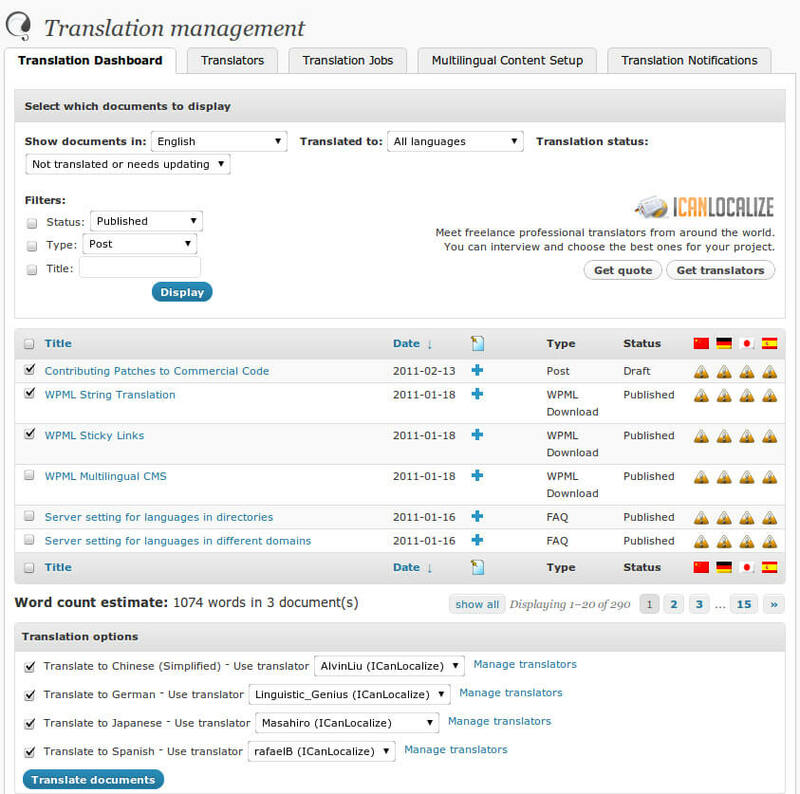 Other modules help with an enhanced translation process, string translation, media translation and other functions. You can learn about the different modules on the WPML Core and Addons page. Sticky links – This is an essential function for running websites powered by WordPress. It guarantees that the links between pages can will never be broken. Let’s start with displaying a contact form on your page. First, open the 'Contact -> Contact Forms' menu in your WordPress administration panel. Copy this code. Then open "Edit menu" ('Pages -> Edit') of the page where you wish to place the contact form. A popular practice is creating a page named 'Contact' for the contact form page. Paste the code you've copied into the contents of the page. Title for this contact form(1). This title is just a label for a contact form and is used only for administrative purposes. You can use any title you like, e.g. “Job Application Form,” “Form for Event 2016/01/01″ and so on. Shortcode for this contact form (2). Copy this code and paste it into your post, page or text widget where you want to place this contact form. Form editing field (4). You can customize form content in this section using HTML and form-tags. Line breaks and blank lines in this field are automatically formatted with <br/> and <p> HTML tags. You can edit the mail template for mail which is sent in response to a form submission. You can use mail-tags in these fields. Note that only plain text is available here. HTML tags and entities are not allowed in the message fields. MailChimp for WordPress plugin helps you add subscribers to your MailChimp lists using various methods. You can create compeling opt-in forms or integrate with any other form on your site, like your comment form or WooCommerce checkout. Like other free WordPress plugins, installing the MailChimp for WordPress Lite plugin is quite easy as well. All you need is a MailChimp account and a self-hosted website. Alternatively, download the plugin and upload the contents of mailchimp-for-wp.zip to your plugins directory, which is usually /wp-content/plugins/. Select "yes" if you want people to confirm their email address before being subscribed (recommended). Selecting a form will automatically add the sign-up checkbox to it. Select "yes" if you want to pre-check. Select "yes" if the checkbox appears in a weird place. If you want to load some default CSS styles, select "basic formatting styles" or choose one of the color themes. Use the shortcode to display this form inside a post, page or text widget. Select "yes" if you want to update the existing subscribers (instead of showing the "already subscribed" message). This option is only available in MailChimp for WordPress Pro. Select "yes" if you want to replace the interest groups with the groups provided instead of adding the provided groups to the member's interest groups (only when updating a subscriber). 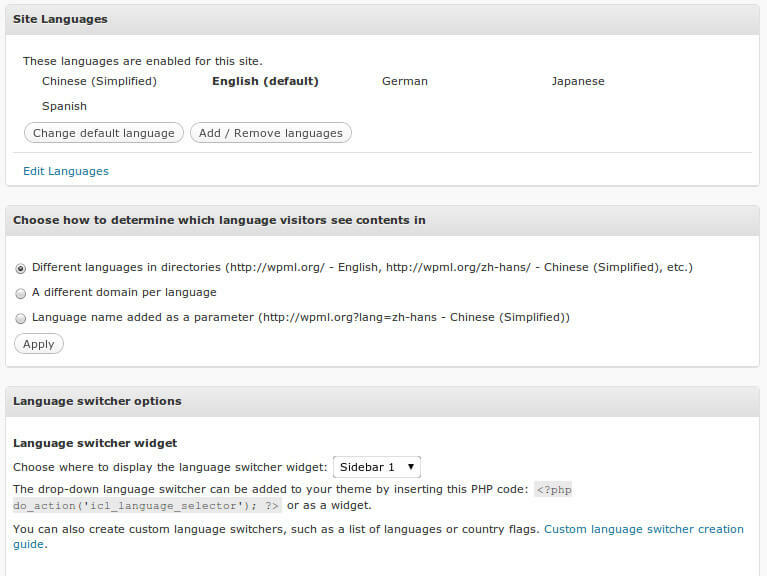 This option is only available in MailChimp for WordPress Pro. Hide form after a successful sign-up? Select "yes" to hide the form fields after a successful sign-up. Leave empty or enter 0 for no redirect. Otherwise, use complete (absolute) URLs, including http://. The text that shows when an email address is successfully subscribed to the selected list(s). The text that shows when an invalid email address is given. The text that shows when a required field for the selected list(s) is missing. The text that shows when the given email is already subscribed to the selected list(s). The text that shows when a general error occured. When using the unsubscribe method, this is the text that shows when the given email address is successfully unsubscribed from the selected list(s). When using the unsubscribe method, this is the text that shows when the given email address is not on the selected list(s). Homepage Pop-up plugin for adding a simple jquery pop-up on the home page. Add a title and an important information on your home page without getting blocked any by A.
Upload 'mlab_popup' to the '/wp-content/plugins/' directory. Create your first pop-up for your homepage! Create a page and give it a title. "Profile" works, but it can be whatever you want it to be. Add the [booked-login] shortcode to the page so your users can log in to view their profile. Go to the Booked Settings panel (Appointments > Settings) and choose this new page from the dropdown in the General Settings tab. As described above, you will choose the page you want to use for the profile from this dropdown. When creating your default time slots (described below), you can choose the intervals at which you can choose your time slots. Just change it with this dropdown. All emails can be turned off one by one by simply removing the content of the email in the fields. If nothing is there then no email is sent. All emails have special tokens you can use in place of actual content. This content is placed into the email when it gets sent. The tokens are listed above each email form. This is the email that is sent to your new users, welcoming them to your website. This email is sent to the user when they book an appointment as a confirmation that the appointment has been submitted. This is the email that is sent to the user when their appointment is approved. This is the email that is sent to the user if their appointment is cancelled by the website admin. Click "Appointments" in the admin panel. You will see a big calendar, showing the current month (if the current date is wrong, please make sure the correct time zone is selected from Settings > General). Pick the day on which you want to book the appointment. Choose a time slot and click the "New Appointment..." button. If this is a current customer, you can simply select them from the user dropdown. If this is a new customer, you can quickly add them as a new user by using the registration fields. The first name and email are the only required fields. When the appointment is booked, the user will get an email welcoming them to the site (with a username/password) as well as a appointment confirmation email. These emails can be customized/turned off from the Booked Settings panel. To cancel someone's appointment, simply find the appointment on the calendar and click the " ×" next to their name in the time slot from which you want to remove them. Setting your default time slots is at the heart of the Booked plugin. Each day is given default time slots. For example, if your business is open Monday – Friday from 8:00am – 4:00pm and you have 2 employees available every hour, you would create 2 times slots every hour from 8–4, Monday – Friday. Click "Add..." at the top of the day you're adding time slots to. Switch to the "Bulk" tab. For the "Start time...", select "8:00am". For the "End time...", select "4:00pm". Leave the next dropdown as "Every 1 hour" to set your time slots every hour. Choose "2 time slots" as the last option, and then click "Add". Your available time slots for that day will then be added and your customers can start booking appointments! Choose a "Start time" and "End time" and then select how many time slots you want to add. Click "Add" and that time slot entry will be added as a default for that day. Go to the Booked Settings panel and then go to the Custom Time Slots tab. Click the "Add Date(s)" button. Choose the calendar you want to use (if applicable). If this is a one day setting, you can leave the End Date blank. If this is a date range, choose the End Date. To add a single time slot, click the "+ Single Time Slot" button. To bulk add time slots, click the "+ Bulk Time Slots" button. For single time slots, you'll choose how many available appointments for this time slot and then you'll choose the start and end times. Alternatively, you can check the "All day" checkbox to make this an all day time slot. To add bulk time slots, choose how many available appointments there are, choose a start and end time for the entire span of your day, choose the time between each slot if you need a 10 minute break for example. Then choose the interval for the time slots to be entered. Check the "Disable appointments" checkbox to make this a vacation/closed date. WordPress Countdown plugin is a nice tool to create and insert countdown timers into your posts/pages and widgets. Our WordPress Countdown plugin allows website owners to create nice and functional Countdown timers just in a few minutes and insert them in the posts/pages and widgets. 1. Log in to your administration panel. 2. Go to Plugins page, click Add New, then click "Upload Plugin". 3. Click "Choose file" then select the WordPress Countdown plugin zip file. 4. Install and activate our WordPress Countdown plugin. 5. You can add Countdown timer from your pages/posts and widgets. Day field text - Type Day field text. Hour field text - Type Hour field text. Minute field text - Type Minute field text. Second field text - Type Second field text. Countdown expire time - Type Countdown expire time. After Countdown expired - Select the action after Countdown time is expired. Message after countdown expired - Type the message after countdown is expired. Countdown timer position - Select the Countdown position. Distance from top - Specify the Countdown distance from top. Distance from bottom - Specify the Countdown distance from bottom. Countdown timer Buttons type - Select the Countdown buttons type. Countdown timer text color - Choose the Countdown text color. Countdown timer background color - Choose the Countdown background color. Countdown timer Size - Specify the Countdown size. Countdown timer border width - Specify the Countdown border width. Countdown timer border radius - Specify the Countdown border radius. Countdown timer font-size - Specify the Countdown texts font-size. Countdown timer Font family - Choose the Countdown Font family. Countdown animation type - Choose the Countdown animation type you need. After the installation you need to activate the plugin, then go to your pages, posts and just click on Countdown shortcode button and add Countdown timer for your pages/posts. After the installation you need to activate the plugin, then check your widgets page(Appearance>Widgets) and then drag and drop "WordPress Countdown plugin" widget into your sidebar. After that set your Countdown timer options. That's all.